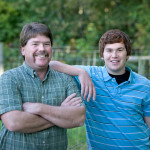 Andy and Sally Daron never had to make the big decision facing many other farmers. No one had ever proposed turning Daron Farms, located in Richland County, northwest of Mansfield, into a housing development or a big-box retail outlet. But the Darons knew there might come a time when there could be pressure to sell the property. So the lifelong farm family made a big decision of its own. The Darons put a conservation easement on the farm, permanently preserving 252 acres. 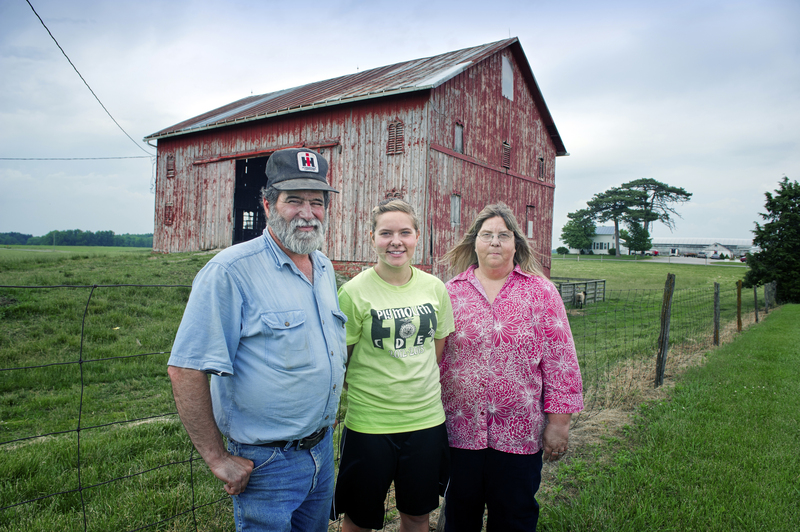 “It’s always been a farm, and it should always be one,” Sally Daron says. The family worked with the Land Conservancy to preserve Andy and Sally Daron’s 154-acre farm and an adjacent 98-acre farm owned by Andy’s parents, the late Roger and Carl Jean Daron. 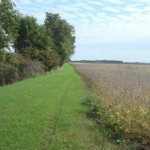 Andy McDowell, vice president of western field operations for the Land Conservancy, says the property is the first farm in Richland County to be accepted into the State of Ohio’s Clean Ohio Agricultural Easement Purchase Program. 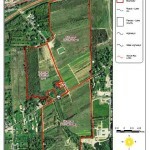 The farm also received partial funding through the Federal Farm and Ranchland Protection Program. “The Darons have set the bar high for farmland preservation in Richland County,” McDowell says. Andy Daron, who in 1988 purchased the property his father had farmed for the previous owners, says he learned about the easement program from friend Brian Smith, the Huron County farmer who has preserved agricultural acreage through a Land Conservancy conservation easement. He was soon sold on the idea. The Darons are the first actual purchasers of the farm, which had been owned by the same family since the original sheepskin deed was signed by President James Monroe in the early 1800s. The farm became available because there were no heirs to take it over. The farm includes a grain operation and four greenhouses totaling 10,000 square feet. 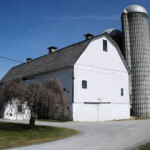 Most of the farm acreage is devoted to grain production — corn, soybeans, wheat and a small crop of hay. The greenhouses, which now produce more than 3,000 hanging baskets and flower beds for wholesale to grocery stores and individuals and 15,000 mums for wholesale and retail distribution, are part of plan by the family to diversify revenue streams. The plan also includes selective timbering of a woodlot on the property. The retail flower business, now in its second year, is booming. Orders for funerals, weddings and other events are pouring in on a regular basis. “I commend the Darons for not only being the first (AEPP farm) in the county, but also for having a diversified operation that includes an expanding greenhouse operation in addition to the traditional row crops,” McDowell says. The Darons use sustainable methods of farming, including conservation crop rotation, nutrient management, residue management and mulch till. And the entire family is actively involved in the farm: Andy and Sally get help from daughter Andie Marie, 17, a Plymouth High School senior basketball player and Future Farmers of America member, and son Ben, 21, who maintains the website for the business. Another daughter, Amanda, 27, now works as a preschool education coordinator but has spent plenty of time on the farm. Interestingly, the farm sits on the very edge of the divide between the Great Lakes and Ohio River watersheds. Water from the Daron property ultimately flows into Lake Erie, while water just a few hundred feet to the south drains to the Ohio River and the Gulf of Mexico. So while the rain falling in this part of Richland County might end up in wildly different places, the simple, enduring charms of Daron Farms will remain very much the same.